Double Time Docs is a SaaS startup created by our own founder in partnership with an Occupational Therapist with 16+ experience years in the field. 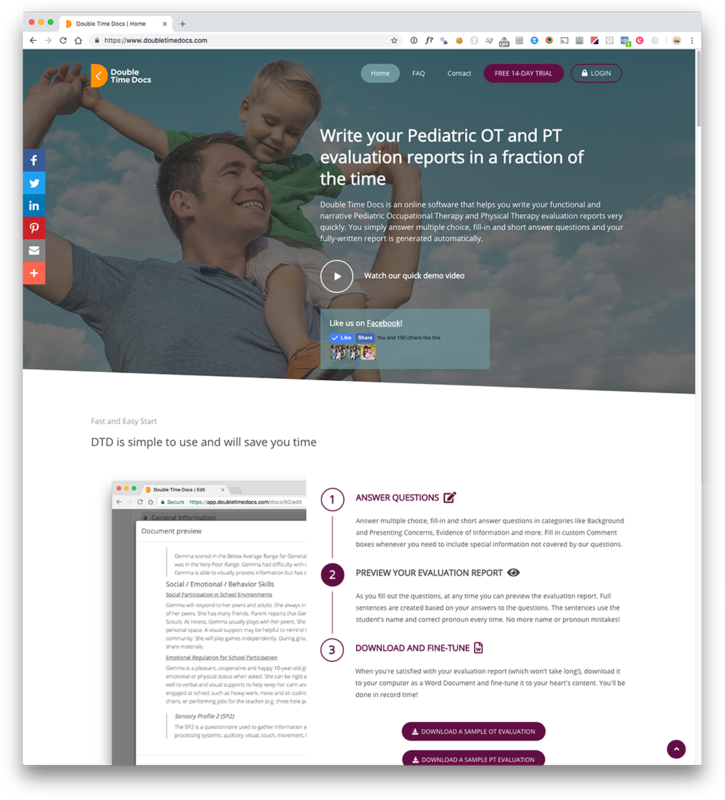 The platform saves Pediatric OTs, PTs and SLPs tons of time writing their evaluation reports. 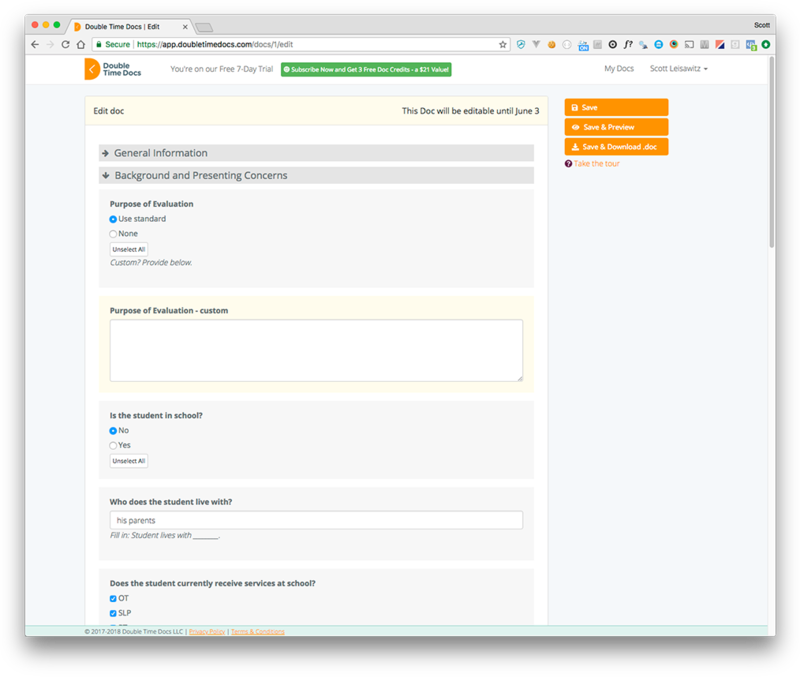 They simply answer multiple choice, fill-in and short answer questions and their fully-written report is generated automatically. Know an OT, PT or SLP? Send them our way!